We specialize in pain relief. Our goal is to get you back to 100% as quickly as possible. We have treated thousands of satisfied patients. Here’s one example, and we have others here. Dr. Henry and his staff have been fantastic. Appointments are on time, the staff is thoroughly professional, and the results—fantastic. I really look forward to my next appointment. Dr. Henry leads the award-winning Henry Chiropractic clinic. 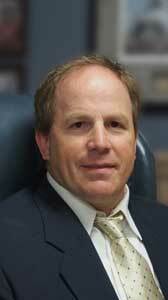 He’s well-respected and well-known in DeSoto County as a community leader and health practitioner. He has three basic philosophies on his treatment of patients. First, he educates patients to help them understand that Chiropractic care is about correcting the problem rather than covering it up with medication. Second, he teaches his patients how to manage their own care. Third, if the condition is not something Chiropractic can solve, he refers patients to the appropriate health care professional. Along the way, Dr. Henry has won the “People’s Choice Award” for Desoto County’s favorite Chiropractor for many years, including most recently in 2014. He’s been appointed the District 1 State Representative for the Mississippi Chiropractic Association. 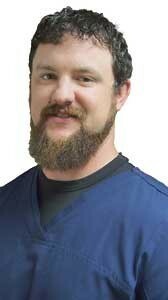 Dr. Henry is fully certified in Myofascial Therapy as well as in Cox Technical for treatment of disc issues. He graduated from Delta State University and Parker University’s College of Chiropractic in Dallas. Dr. Henry is licensed by the Mississippi State Board of Chiropractic Examiners as well at the National Board of Chiropractic Examiners. He’s a member of the American Chiropractic Association as well as the Mississippi Chiropractic Association. Dr. Henry and his wife live in DeSoto County with their four boys. Dr. Hope is originally from Greenville, Mississippi where he attended Greenville Christian Academy. In 1999, he moved to Heber Springs, Arkansas where he graduated from Heber Springs High School. He attended Arkansas State University in Jonesboro, Arkansas andÂ earned a Bachelor of Science in Biology and an Associate of Science in Health Sciences. While living in Jonesboro, Dr. Hope also worked as a patrolman for the Jonesboro Police Department for several years. He attended Parker University in Dallas, Texas and earned a Doctorate of Chiropractic, a Bachelor of Science in Anatomy, and a Bachelor of Science in Health and Wellness. Dr. Hope graduated Parker University at the top of his class, receiving valedictorian honors. He also earned the Scholastic Excellence Award and the James W. Parker Chiropractic Philosophy Award, which is given to the student who, to an outstanding degree, has demonstrated the Parker principles of friendship, love of mankind, and the compassion to serve in the practice of Chiropractic. Dr. Hope is currently certified through the National Board of Chiropractic Examiners and licensed by the Mississippi State Board of Chiropractic Examiners. He is an active member with the American Chiropractic Association, the Mississippi Chiropractic Association, and the Olive Branch Lions Club. He is married since 2009 to his high school sweetheart, Lindsey Hope, who is an Oncology RN currently working at The West Clinic. Dr. Stubbs is from Kearney, NE where he attended both high school and college. He graduated from Kearney High School in 2005 where he was involved with multiple sports teams. 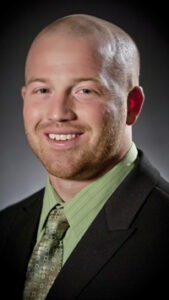 After high school, he attended the University of Nebraska at Kearney where he received his Bachelor of Science degree in exercise science as well as a minor in health science. While attending UNK he played football for the Lopers, and participated on the 2009 Rocky Mountain Athletic Conference Championship Team. In the fall of 2011, he began chiropractic school at Palmer College of Chiropractic in Davenport, IA where he earned his Doctorate of Chiropractic degree. Dr. Stubbs is certified through the National Board of Chiropractic Examiners and is licensed by the Mississippi Board of Chiropractic Examiners. He’s a member of both the American Chiropractic Association and the Mississippi Chiropractic Association. Growing up on a farm in central Nebraska, Dr. Stubbs was instilled with a dedicated, hard working attitude to which he brings with him to Olive Branch. New to the area, Dr. Stubbs is excited for the opportunity to serve the Olive Branch community and continue to grow with an already growing city. In his spare time, he enjoys spending time outdoors playing sports and hunting. When he’s not outside you can find him taking part in his other hobby; cooking and grilling.